Whilst the function of bid documents is to convey financial and contractual information it is critical that they project a professional image. 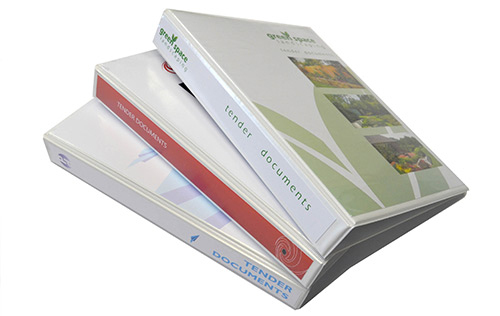 There are a variety of ways that bid documents can be presented – as brochures, wiro bound books, perfect bound books or in binders with bespoke covers. Whilst we treat all work in the strictest confidence this is particularly relevant in the case of Bid and Tender Documents. We are happy to sign appropriate confidentiality agreements. FAST – We can turn round most bid documents in hours.